Snoring is a problem that doesn’t seem to go away. It affects tens of millions of Americans, and as many as 70 million people in the United States say they have a sleep-related disorder. But there is an age-old question surrounding snoring: is snoring genetic? The answer could help people understand snoring causes and figure out how to stop snoring once and for all. Sleep has a drastic effect on health. Research has linked snoring to things like blood clots and strokes. It’s also often a sign of sleep apnea, which can be a dangerous condition. Sufferers actually stop breathing during sleep and can damage their health. Because it disrupts sleep, sleep apnea can put extra strain on a person’s heart. It can lead to higher blood pressure and lower oxygen levels in blood. That also can mean hypertension and headaches. Sleep apnea and snoring can also cause a person, and their light-sleeping partners, to feel tired during the day. A good way to fight off this dangerous nuisance is to understand the science of snoring. It’s a question that people have debated for decades, but recent science has a pretty good answer. Studies show snoring can be largely genetic. Genetic tendencies can increase the likelihood that a person will become a snorer. In other words, look at your parents, if one or both of them snores, you’ll have a higher likely hood of snoring. Remember, we don’t always know if we are snoring, so take it seriously if your partner says something. Although our bodies might not have a snoring gene built it, there are factors that cause snoring. Those factors are genetic a lot of the time. For example, if you genetics make you a larger than average or heaver than average person that extra tissue in and around the throat may cause you to develop snoring issues. But just to be clear, the answer to the question “is snoring genetic?” is SOMETIMES! Not all snoring is genetic. There are non-genetic factors that can cause a person to snore. Here are some causes of snoring and the roots behind sleep interruptions. When answering the question “Is snoring genetic?” One of the things science looked for was if there were any genetic markers in the blood of chronic snorers. As it turns out, there are blood markers linked to snoring. This genetic piece seems to run in families. When they’re connected with family history and passed down traits, they seem to show snoring can at least be more common in a certain bloodline. A person’s anatomy can have a big impact on whether they snore or not. One key is the way a person’s nose and throat line up. If someone has a narrow passage in their throat where air needs to get through, they are more likely to snore. People with extra tissue in the back of their throats or big adenoids also tend to be at a higher risk of snoring. The same goes for people with long uvulas, which hang in the back of the throat. Head and face shape also plays a big part in the science of snoring. Larger tongues, smaller jaws, and receding jaws all can make a person more likely to snore. That is because they can make the upper breathing airway narrower. Neck size is yet another anatomical feature that can contribute to snoring. Fatty tissue around the neck can cut down the air passageway. Usually, if a person has a neck circumference that is bigger than 16.5 inches, they have a high risk of snoring. Air running through the nose is important too. People who have severe nasal restrictions end up snoring more often. A person who has a crooked or deviated nasal septum tends to snore more often also. The nasal septum is the bone and cartilage splitting the two nasal cavities. A crick in that passageway can cut off breathing and cause snoring. Sleep position can be a snoring factor. People who sleep on their backs snore more than those who sleep on their stomachs or sides. That’s because back sleepers tend to relax the mouth and throat during deep sleep. That allows the tongue to fall into the back of the throat and can narrow the breathing passage. There are habits and behaviors that we can control that can contribute to snoring too. Drinking alcohol will up the chances of snoring. This is because heavy drinking can cause a person to relax the throat muscles. That makes it easier for the tongue to fall back and block airflow. Heavy drinking can also slow down reaction time. That could mean a person might react less sharply when breathing cuts off. making snoring and sleep apnea all the more dangerous. People who smoke are two and a half times more likely to have obstructive sleep apnea, or OSA. It’s because OSA happens when there is an air blockage or something stuffing up the nasal airways. Smoking irritates the throat and nasal passages causing them to swell and restrict airflow. This restriction can cause snoring in someone who might not snore normally or make snoring worse in someone who would normally be a light snorer. Sleep deprivation can be devastating on a person’s health. In fact, some studies suggest sleeping less than six hours a night can increase the chances of dying early by 12 percent. Putting off sleep can also lead to snoring. Going long periods of time without sleep can cause big crashes. When that happens the throat muscles can relax even more than usual. Like with other factors on the list, a relaxed throat from sleep deprivation can cause the tongue to cover up the breathing passage. Obesity poses a big risk when it comes to both snoring and OSA. In fact, it is the single most significant risk factor when it comes to developing OSA. One reason is that neck fat can restrict airways. In the same way, fat around the check and midriff can make snoring even worse. It’s because chest fat puts pressure on the ribcage and makes breathing harder. Belly fat can also push up on the diaphragm, which doesn’t let lungs take in as deep of a breath. But as it turns out, the connection between snoring sleep apnea and weight might be a little more complex that initially thought. Science is now suggesting that snoring, sleep apnea and other sleep disturbances may cause (or at least aggravate) weight gain as well as other medical conditions. Knowing the science of snoring and its causes can help a person learn how to stop snoring. And there are several things out there that can cut down or get rid of snoring altogether. Here are some strategies for fighting off snoring. There are oral anti snoring devices that can cut down snoring. They are usually setup like a mouthguard or mouthpiece. And they work by keeping the jaw and tongue from moving around. That means the tongue stops wandering in front of the air passageway and blocking airflow. Keep in mind that there are different causes for snoring and anti snoring mouthpieces work best when the snoring is caused by restricted airflow in the throat. Other types of snoring are caused by nasal and tongue issues. More about solutions for those issues later. Some things to remember when using these devices. Initially an mouthpiece might feel uncomfortable, but most people get use to it within a week or two. You’ll also want to make sure that you practice good dental hygiene when using a mouthpiece as it fits over your teeth and may cause dry mouth when you wake up. Nasal dilators can be helpful when the cause of snoring is due to restricted airflow through the nasal passages. These devices can be as simple as nasal dilating strips that you apply directly on your nose to hold the nostrils open, to dilating devices that are inserted into the nostril holding them open. Sometimes snoring is caused when the tongue falls back into the throat blocking the airway. This more common to people who sleep on their backs. Fortunately, there is a simple fix for tongue snoring by using a tongue stabilizing device. These devices fit into your mouth and hold the tongue forward so that it doesn’t impede the airflow. These devices, much like the mouthpiece, may take some time to get use to as the appliance is put over the tongue while sleeping. Not to mention that it looks more than a little like a pacifier! Continuous positive air pressure (CPAP) machines pump air through a mask. The machine pulls in air through a fan, adds moisture, and relays it to the sleeper. By pumping fresh, pressurized air to the sleeper, snoring can decrease down drastically. It pushes air into the throat and keeps the airway open. There can be downsides to CPAP machines. Some people say they are too noisy, and they can be expensive. And while you’ll need a doctors diagnosis and prescription to get a CPAP machine. 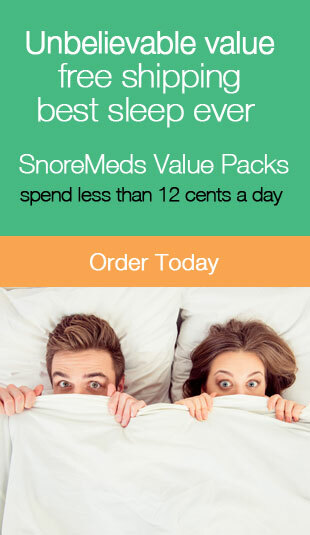 They do tend to be very effective in combating both snoring and sleep apnea. It’s usually a last resort because it can be expensive, but surgery can cut down snoring. One snore reduction procedure is uvulopalatopharyngoplasty, or UPPP. This surgery takes out extra tissue from the back of the throat. That helps open up airways and cuts down blockages. Another surgery option is maxillomandibular advancement, or MMA. It repositions the upper and lower jaw so that air can pass through with ease. There are lots of devices out there made to encourage better breathing habits and cut down snoring. Nasal strips can open up the breathing passage. They are a good option for people who have nasal blockages or narrow airways that they need to open up. It could help to use a pillow that is a bit thicker. That’s because thin or worn down pillows can encourage the sleeper’s head to slide back, which could lead to blocked air passages. There are things people can do to reduce snoring. For instance, switching to side sleeping can cut down snoring because the tongue is less likely to fall into the back of the throat. A person can stop smoking to reduce snoring. This can reduce swelling and make breathing easier. It’s also a good idea to skip alcohol and avoid sedatives before bed. Both have the tendency to relax the throat in a way that can cause snoring. Weight loss can be a big snoring deterrent. It can reduce that pesky fatty tissue around the neck, and it can boost breathing. When your head hits the pillow, the answer to the question, “is snoring genetic?”, can be put to rest. It has genetic components and there are many genetic factors that can lead to snoring. That doesn’t mean you can’t stop snoring. There’s plenty more information out there about snoring, snoring products, and sleep. Want to stay refreshed with new sleep tips and info? Check out our blog here for the latest from the experts in sleep. As always, we hope you found this article, “The Science of Snoring: Is Snoring Genetic?” both informative and entertaining. If you did, may we ask that you share it with your friends and family through social media. It really helps us a lot and is greatly appreciated!